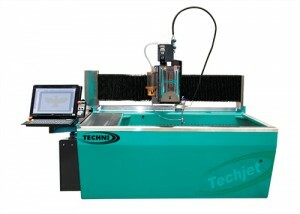 TECHNI is one of the world’s leading manufacturers of profile waterjet cutting systems. 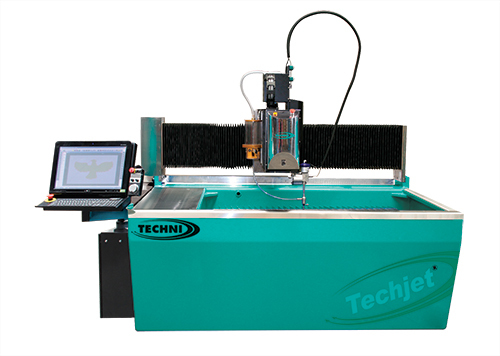 TECHNI Waterjet is the only company in the World who can offer complete water jet cutter solutions utilizing their own patented in house technologies for everything from the revolutionary Electric Servo Waterjet Pump to the 5 Axis Cutting Head. 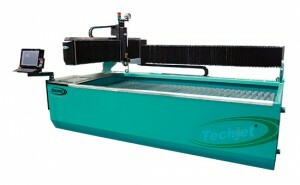 High-pressured Techni WaterJet machining systems offer unique advantages over other cutting technologies. 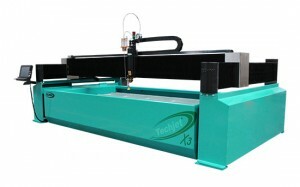 Waterjets are able to cut virtually any material with a high degree of accuracy and without heat. We look forward to examining each metalworking application and developing the most efficient, cost effective method for production. Whether the solution is new or used machinery, application software, lean manufacturing, tooling or service, Metalfab will work for you to determine the best method.